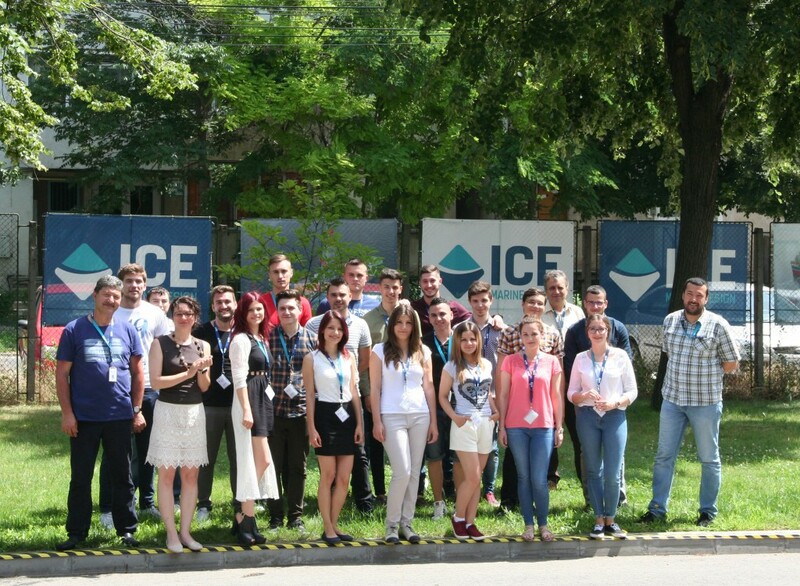 ICE has a long tradition in cooperating with the Mechanical Engineering and Naval Architecture Faculties of the “Dunarea de Jos” University of Galati, Romania, from where many of the Group’s Romanian employees received their academic degrees. In its role as an industrial partner of the University, ICE supports academic activities, as well as students’ summer internships, international master degree internships, technical support for the preparation of bachelor or master thesis, etc. To further support such activities, ICE has recently made available a substantial grant to the University, in part to support merit based scholarships. Pictured here are students majoring in Naval Architecture at the Galati University who took part in ICE’s 2016 Internship Program.